Shirdi Sai Baba Stories,Leelas and Teachings. : My Real Experience Of Sai's Presence-Devotee Basant Agarwal. My Real Experience Of Sai's Presence-Devotee Basant Agarwal. 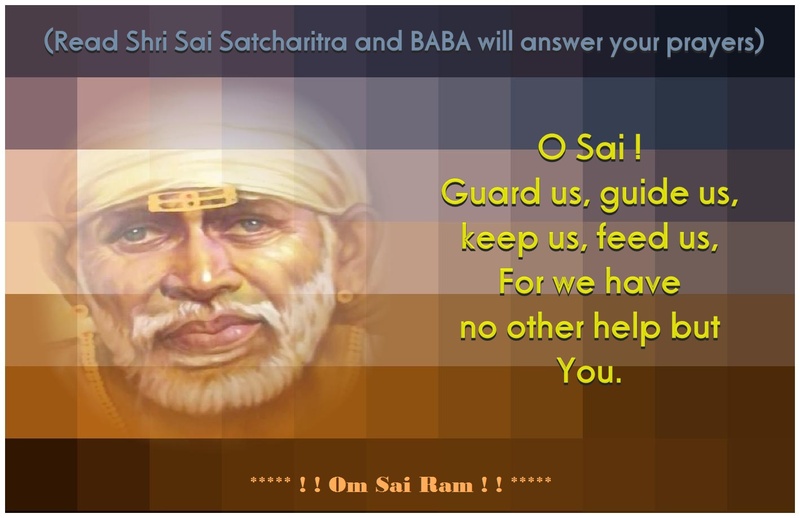 There are many incidences mentiones in Shri Sai Satcharitra where Baba has come to rescue His children at the time of their affliction in various forms .This is true even today.The following experience shared by Basant Agarwal is a live example of this. Jai Sai Ram . My name is Basant Kumar Arawal . I am a asstt.professor in a reputed university at NOIDA(UP). I belong to chandrapur district chanpa janjgir (CHHATTISGARH). We are five brothers and one sister. I am only in teaching profession and all my brothers are doing business at the native place. 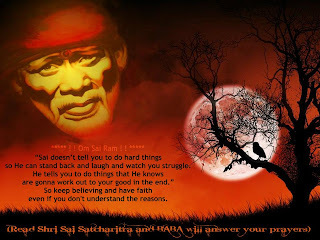 I want to share my real story of meeting Sai baba and got his blessing and help . Before beginning, I am requesting to Sai baba for his blessing to write this story and I am stating that I will put exactly the real situation as happened with me, if I put anything wrong than Sai baba will give me punishment as he likes. My elder brother Raj Kumar (age 43) is having heart problem since childhood, we did several treatment many times and finally, he has gone through open heart surgery at AIIMS and his one valve is replaced successfully. After this operation he went to his native place and doing well there in business and other daily activity without any problem. After one year, one day, he felt some pain in his body and he took some medicine without consultation from Dr. after that he was feeling some headache and again he took more pain killer. Day by day his headache was increasing, we did many treatments but his headache was continuously increasing. No one is getting to the root of his real problem, and finally when we came to know it’s too late because his blood has become too thin and it is rushing towards his head and accumulating their. He can experience any time brain hammerage . In this way, his condition was so critical that he can collapse any time. Someone suggested that take him to AIMMS again, then my father along with my mother immediately agreed to come to AIMMS and they informed me that we are coming tomorrow by train from Raigarh to Nizzamuddin. My two elder brother came for dropping them up to Raigarh station with my aged father and mother,along with my critical condition brother.They waited for train to come at Raigarh. Finally train came to the Raigarh station at right time and train left for Nizzamuddin. Suddenly, both my elder brother who came to station for dropping my brother and parents, they realised that they did big mistakes unintentionally by sending parents alone inspite of they going themselves with sick brother. Because they know the situation, in-between anything can happen and thinking this they started crying and weeping loudly and though they should have gnone but now they were helpless . Journey of Raigarh to Delhi almost takes 26 hours and all the time they were tensed and guessing any time bad news will come. Here I have already taken appointment for OPD at AIIMS,NEW DELHI and waiting for train to come at Nizzamuddin station New Delhi. Finally train reached at right time to Nizzamuddin station,I rushed towards the specific coach and my brother along with father and mother came out from train and then immediately brother lied down in the floor for few seconds, and then after he got some miracle strength he start walking towards foot-over bridge for exit gate of sarai khale khaan side. When we were approaching towards exit gate with crowd, then all taxi drivers were diverging outside and taking their steps away from us and giving direction to go with one particular aged person who is silently standing nearby, we asked the aged man for AIMMS then he immediately brought his one antique car which I have never seen ,that type of model in my entire life. He takes his car towards AIMMS and during entire journey there was no traffic jam anywhere and we smoothely reached AIMMS at about 4 PM without any stoppage, we were feeling that some VIP movement was going on. As we reached AIMMS,I requested that person to stay with my parents at the parking itself and told him that that" I am taking my brother for check up and if it takes too much time then I will call you then you will drop my parents to my Noida house, till that time you wait here. He immedietly agreed and I rushed towards OPD and I knew that doctor never comes before 6 but that day Dr was already there and I just approached to the door of doctor with my brother and I explained from door itself in one line that my brother is facing headache problem and feeling unconsousness and he already gone through open heart surgery. Docter immediately responded and said rush for C-T scan and gives prescription for the same. i rushed towads citisacn lab.as soon as reached tha lab, they immediately done citiscan and gives report to me. i rushed towards again OPD shown the report and after seeing the report,Doctor said go for immediate admission process in the heart department and gives admission slip in our hand. Once I heard immediate admission is required, I called that aged person waiting in the parking and said, you take to my parents to Noida house because I cannot come, here admission is required. Here I myself alone doing all formalities without any problem and brother became admitted in ICU within hour. After many days of treatment of neuro expert and heart expert, they are able to bring normal condition. After everything happened and brother became discharged perfectly, suddenly I realised who was that aged cool person. Then I went back to the entire episode sequencely than I realised that person was our SAIBABA. Because without his help, we cannot expect that our brother will be treated so nicely without any problem. At outside station , always all taxi driver comes towards passenger asking for where to go? But in my case all were praying and moving away and also requesting to go with that aged person. In delhi, taxi driver keeps auto, van, ambassador, no one keeps any antique car. In Delhi there is always rush, but in our case no rush. Normally taxi driver don’t wait unconditionally without money. Always doctor came late in OPD of AIIMS because they are busy in surgery. Always patient go sequencely, in our case they don’t mind. Always they check properly and then they understand the problem, in our case they understand everything in just one sentence without any touch to the patient. Getting C-T scan immediately and getting admission immediately was also strange. According to the doctor, may be brain surgery required later because there was blood patches at several location but it was not required at all. All this happened because my brother always believes in sai baba and that day saibaba himself came for my brother. Now you imagine there is really god with you than what will happen with you. same thing was happened that day. Now I imagined that day and seeing saibaba ,visualising saibaba and getting much much blessing and all my works are happening without any problem. really heart touching incident. when ever i fed up with the bad things going on in my life, baba make me to read such experiences and increase my faith and patience. when ever his devotees are about to fall, he stretch his lovable hands to save them. Its 100% true. baba shower your love and kindness to everyone. It really great experience, Baba is always with his children.... Baba please heal my friend who got operated on her face... 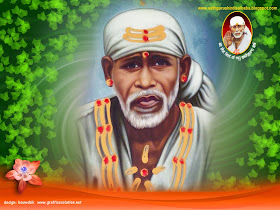 I know sai ram you will help her.. because i belive in you and your leela. Sai Please bless my friend with good health and bright future. What an amazing experience.... Baba you are so great and we dont have proper words in our small vocabulary to express our gratittude or to praise you. We can only tell you baba, We love you and Please make us remember you always.